Go on the haunted experience that's right for you! Our least expensive walking tour is only $16 per person. And, at less than $50 per participant, our most exclusive adventures won't force you to SCARE UP too much cash. Muahahahaha!!!! ...or do you?! You might just find out the past is truly alive when you take a haunted tour with Gators and Ghosts. $45 per person. 7 pm or 9:30 pm nightly. Many Big Easy visitors never venture much farther from their hotel than the touristy confines of Bourbon Street. That's pretty scary, if you ask us! But some of New Orleans' creepiest haunted locations are found only in neighborhoods outside of the French Quarter. These are ghastly places where walking alone at night might give you pause. But surrounded safely by friendly fellow ghost adventurers, the haunted history comes alive. To experience these frightful stories, you'll climb aboard a comfortable, air conditioned shuttle and escape into the night with your licensed tour guide leading the way. Over the course of two hours, you'll hear real stories of murder and betrayal and see the places where they occurred, along with some of the scariest ghost stories and urban legends the city has to offer. 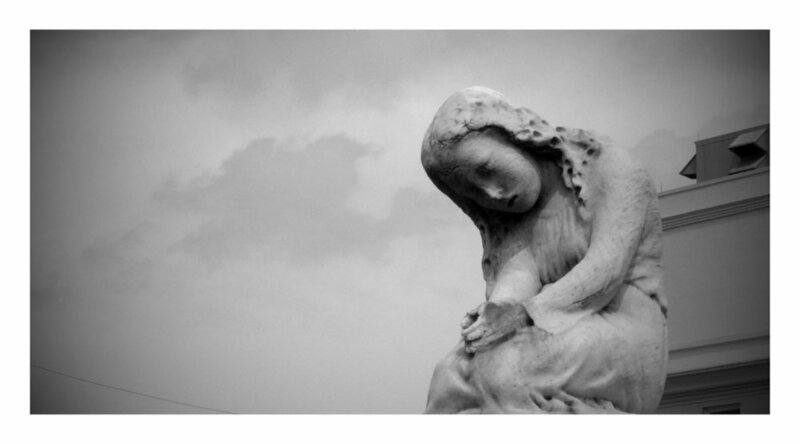 In perhaps the highlight of the trip, you'll stop at one of New Orleans' famed above-ground cemeteries, allowing you to make a rare visit to our "Cities of the Dead" in the "dead of night." Most cemeteries in New Orleans close at dusk or earlier in an effort to protect the historically significant mausoleums, but we will take you to one of the few cemeteries that permits visitors after dark. It's truly a once-in-a-lifetime experience! You'll also enjoy a mid-tour break at Morning Call, a cafe nestled among the centuries old oaks of New Orleans City Park. Tours leave at 7 p.m. and 9:30 p.m. nightly. Because of limited availability, we recommend you book this tour at least three days ahead of your desired tour date. To double check availability for last minute reservations, please call (888) 481-8188 or use our live chat feature before you checkout. The tour departs from 768 Decatur Street, in front of the Amphitheater Steps at Washington Artillery Park, right across from Jackson Square. Advanced reservations are required and walk ups are not accepted. The tour is approximately 2 hours long with a refreshment/restroom break in the middle. Private Tours are available for groups small and large. Private tours are great for bachelor and bachelorette parties, corporate gatherings, church groups, conventions, fans coming in for sporting events, family reunions and more. Our asylum tour can take up to 15 people per tour. Our bus tour can take approximately 27 people per bus. For walking tours, if your group is 28 people or fewer, we can fit you in one tour group. If you have more than 28 people, we can split you across multiple tour guides (city law limits the number of guests per tour guide). Contact Group Sales at (504) 507-8308 reservations@gatorsandghosts.com for a quote. Private tours should be booked as far in advance as possible. $16 per person. 6 pm or 8 pm nightly. Our best value! This is a haunted walking tour of the French Quarter at night. You'll see the places where real life tragic events led to unrestful spirits and unexplained phenomena, such as the infamous LaLaurie Mansion, made famous on American Horror Story. The tour starts at a bar and takes a break half-way through at another bar. Kids are allowed on the tour, just not in areas where alcohol is served. $16 per person, with $6 due per person at checkout. Tours are 6 p.m. and 8 p.m nightly. $25 per person. 8:30 p.m. nightly. New Orleans became most famous for its vampires when Anne Rice started writing about Louis and Lestat in the 1970s, but on this tour you'll learn that the stories in "Interview With A Vampire" have some historical weight behind them, stretching all the way back to the late 1700s. You'll see the famous convent where vampires are rumored to spend their days locked away in a shuttered attic, safe from the sun, but do they come out at night? $25 per person. The tour begins at 8:30 p.m. nightly. $25 per person. 6 pm or 8 pm nightly. You'll see and experience the haunted legends that simply won't die on this theatrical French Quarter ghost tour. This tour skips the vampires and focuses in on the most famous historical hauntings in New Orleans' oldest neighborhood. $25 per person. Tours begin at 6 p.m. and 8 p.m. nightly. An Easy Walk: The walking tours are less than a mile walking and under two hours in length with a break in the middle. It's an easy stroll at a leisurely pace, and you stop a lot. Bring your cameras: Many guests report capturing orbs and other unexplained images in their photography. Show your tour guide. They may be able to tell you if you captured anything significant. 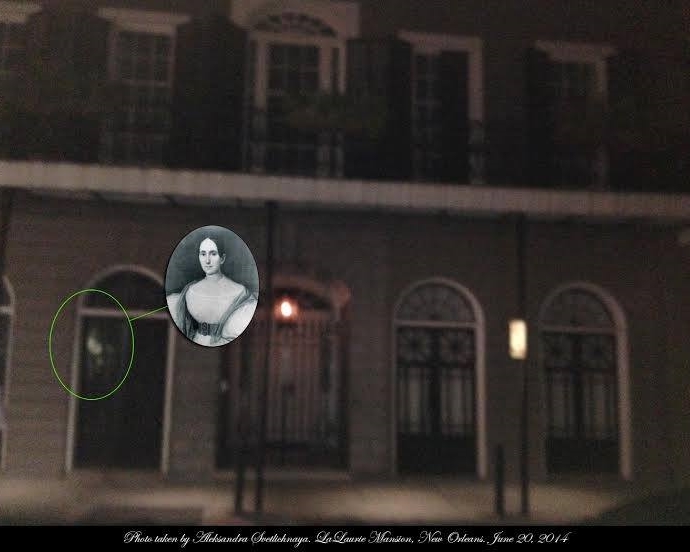 Famous Haunted Locations May Vary: Our Ghost & Vampire Combo Tour and our Ghosts and Legends Tour both usually visit the infamous LaLaurie Mansion and many other famous haunted locations. You may visit places that were featured on American Horror Story: Coven, Ghost Adventures and Interview With a Vampire. Keep in mind that tour guides even within the same company often take different routes, tell different stories and do their own independent research. Licensed Tour Guides: Tour guides sometimes get a bad rap, but New Orleans has unusually high standards. City law mandates that every tour guide in New Orleans pass a rigorous history and safety exam administered by city officials before being granted a tour guide's license. You can rest assured you're in good hands when you're on one of our tours.